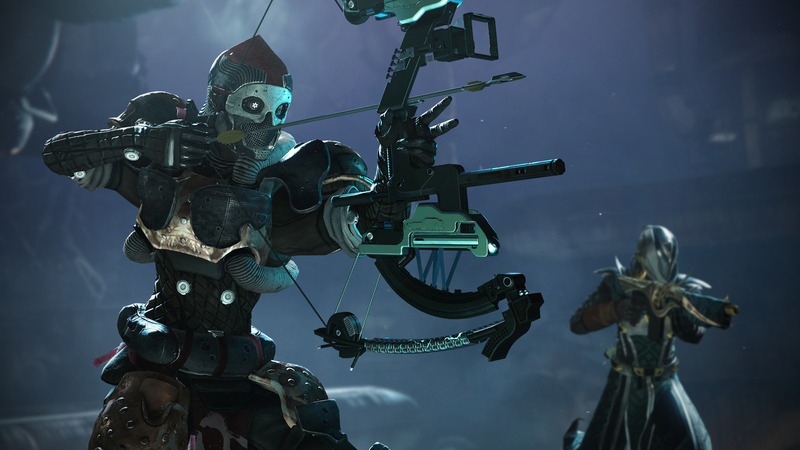 Tomorrow, Bungie is letting Destiny 2 players test out a new game mode a few days before Forsaken, the big, new expansion, comes out. Gambit, which is being sold as a “PvEvP” mode, is a hybrid style that sees players working with and against each other at the same time. While that sounds interesting in and of itself, what’s even more fascinating is how Bungie explains the inspiration for the mode. In an interview with Polygon, the initial design lead for Gambit, Lars Bakken, said that Gambit’s origins lie in the idea of a mashup of sorts between Halo‘s Firefight with Capcom‘s fighting/puzzle game hybrid classic, Super Puzzle Fighter. As crazy as that sounds, it makes sense if you think about it. In Gambit, two teams of four square off, but are separated physically into their own arenas. When an enemy goes down, it drops a “mote.” Motes go into a bank, and banking 75 motes spawns a boss. First team that takes down their boss gets the win. However, if motes are banked in chunks of 5, 10, or 15, “Blocker” enemies appear in the opponent’s arena. Blockers, well, block the bank, so teams have to focus on taking them out to get back into the game. In Super Puzzle Fighter, players fight each other, but not directly. While the characters on screen use their moves, the players are more literally concentrating on clearing their own spaces. Meanwhile, combo moves drop junk blocks into their opponent’s play area, thus attacking them indirectly as a side effect of their own progress. Checks out to me. What does everyone else think?